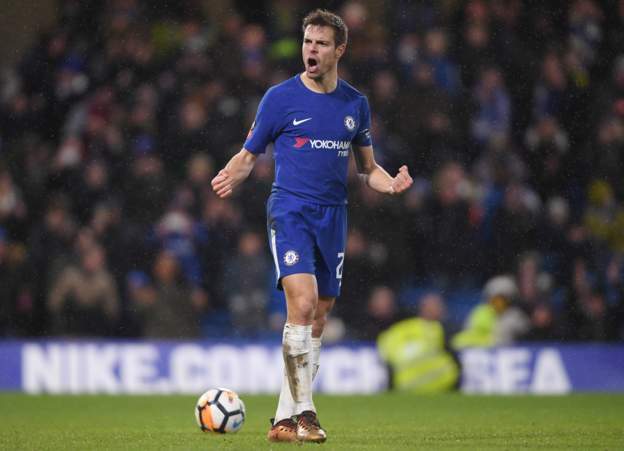 Chelsea defender Cesar Azpilicueta says the players are "disappointed" with recent results, but will "work hard" to turn it around. "We are Chelsea, a big club and when we lose one game it’s a bad time for us," said Azpilicueta. "Obviously to lose two in a row is even worse but I’m sure this team will fight back. We have three targets to go for and we have a massive three or four months ahead of us."